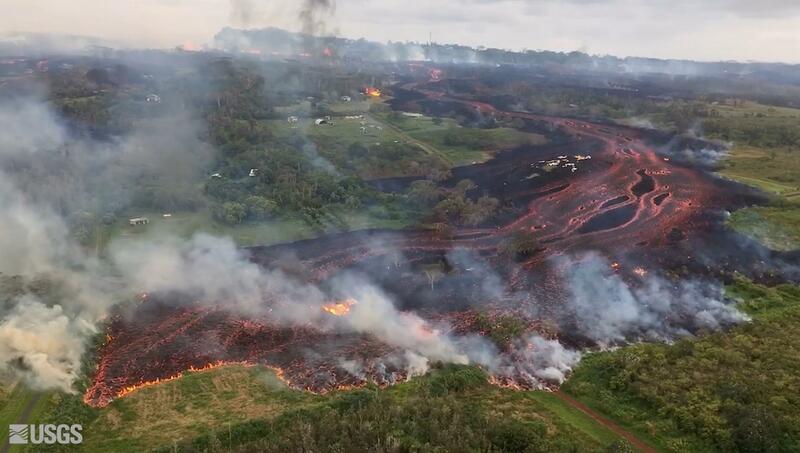 Lava flow picks up pace on May 19, making its way toward through the Puna district of Hawai'i's Big Island. Kilauea Volcano has been erupting for three weeks now, destroying 29 homes and covering more than 150 acres of land. But lava isn’t the only force that continues to threaten island residents. HPR Reporter Ku’uwehi Hiraishi has this story. 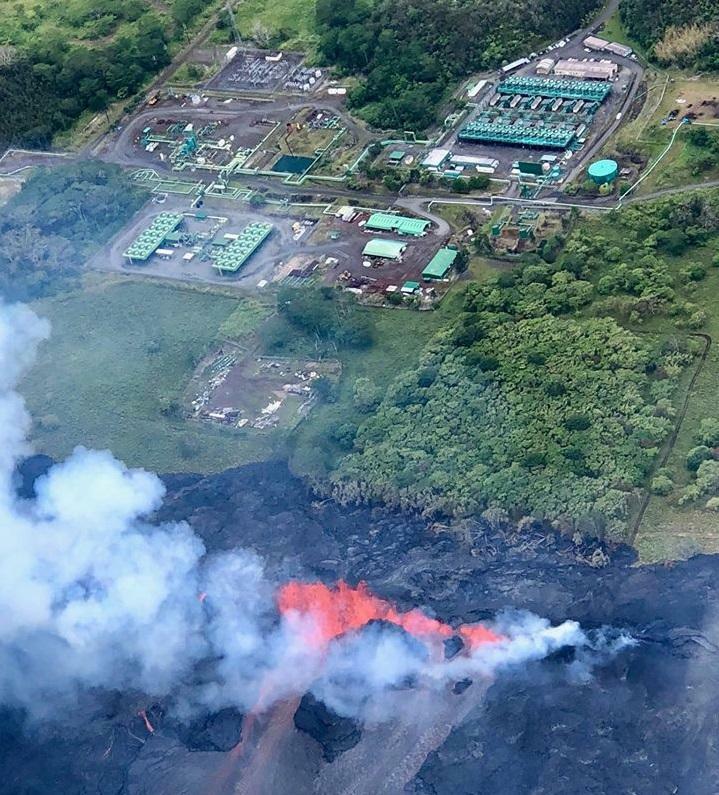 Earthquakes, ash, and toxic gas can be just as dangerous as the lava spewing from fissures in and around Leilani Estates. Hawaiian Volcanoes Observatory geologist next to cracks on Nohea Street in Leilani Estates. 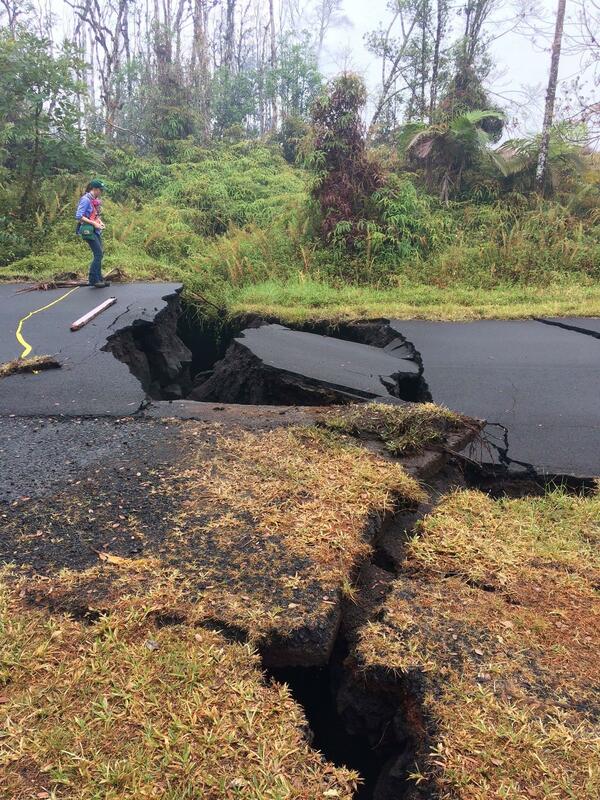 Prolonged volcanic activity beneath the surface have expanded cracks in ground throughout Kilauea's East Rift Zone. These side effects of the volcanic eruption have displaced residents in surrounding communities. Spikes in sulfur dioxide levels have become too much to bear for the Black Sands resident. Sheʻs been staying with family farther away from the SO2 for two weeks now. Hawai'i Army National Guard Sgt. Milo Kalama monitors air quality near one of the 23 volcanic fissures in Leilani Estates. 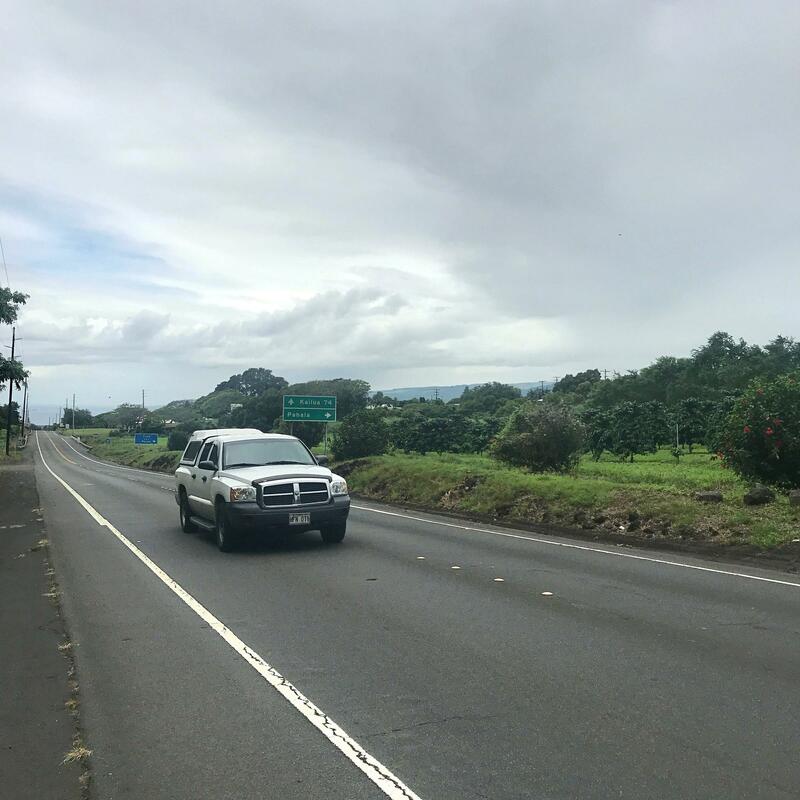 Federal, state, and county government officials have been monitoring air quality at at least ten different sites along Kilaueaʻs East Rift Zone. Hereʻs state department of health official Dr. Alvin Bronstein. 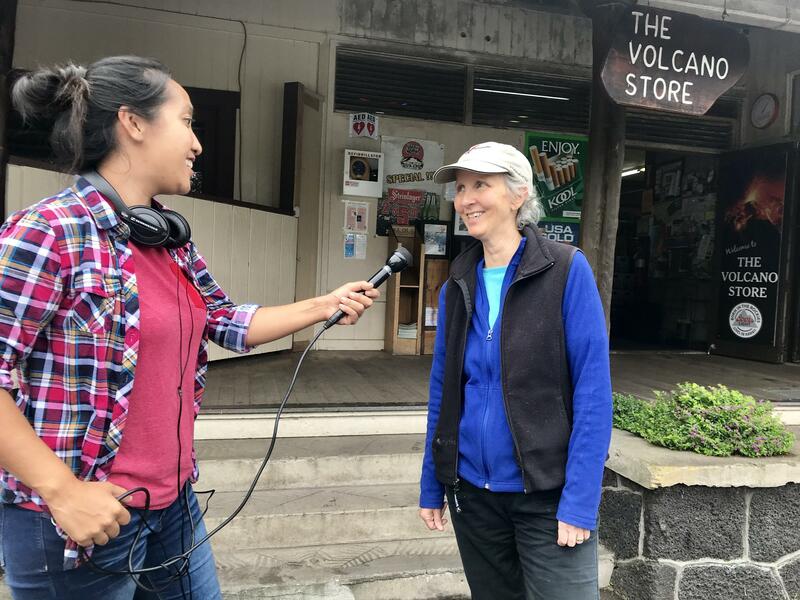 Mauna Loa Estates resident Catherine Robbins has taken precautions to prepare for anticipated ash fall from Halema'uma'u as well as continued earthquakes. Farther uprift at Volcano Village, Mauna Loa Estates residents Catherine Robbins and Tom Peek were at the Volcano Store checking on their neighbors. They’ve already taken a number of preparations to protect themselves from anticipated ash fall. 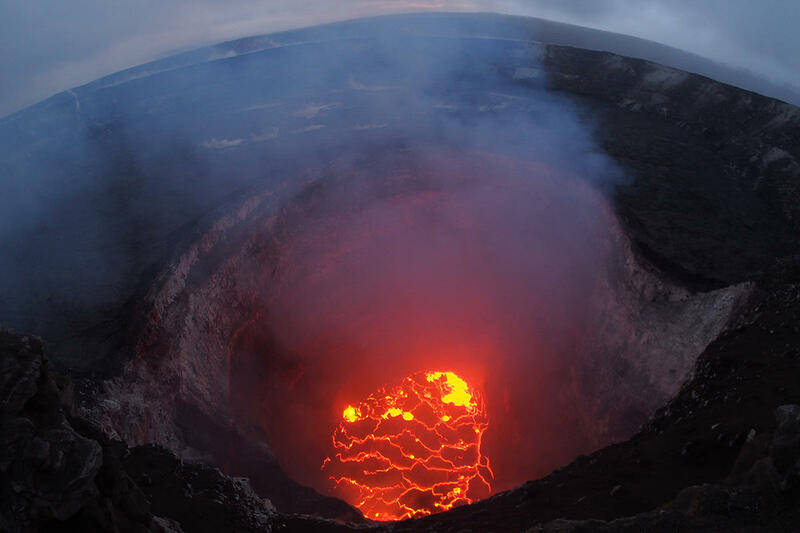 Their home is located three miles away from Halemaʻumaʻu Crater. 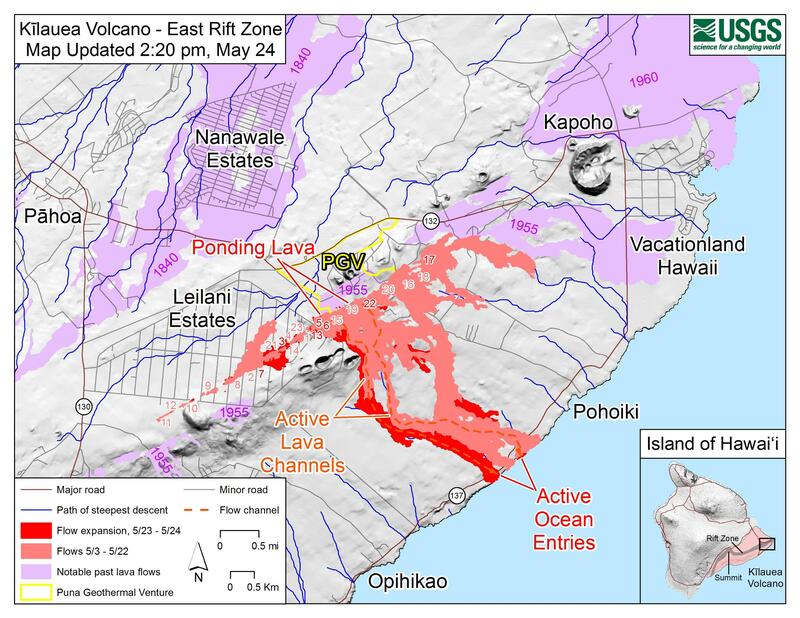 U.S. Geological Survey maps out 2018 Kilauea Eruption as of May 24. But it’s the shallow earthquakes that Peek says have really had an impact on their daily lives. 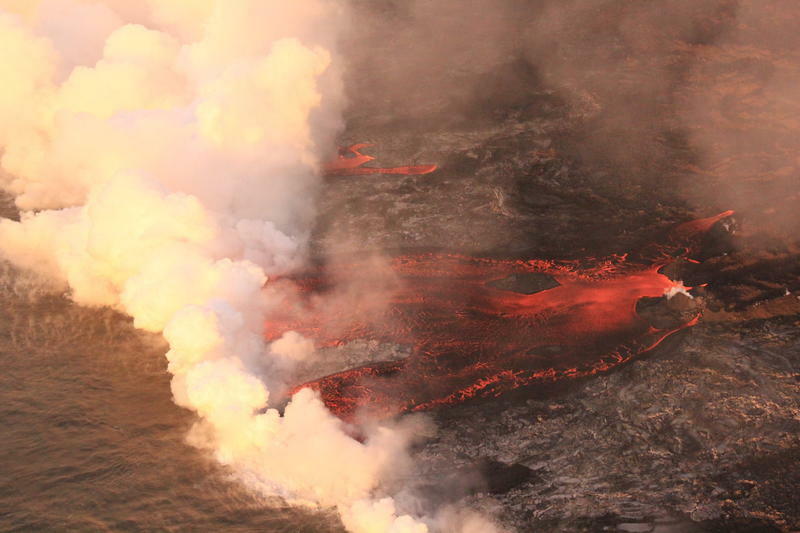 Lava lake at Halema'uma'u Crater continues to sink or subside. USGS scientists report hundreds of earthquakes this week – nearly 90 of them occurring yesterday alone. Frequent ash emissions also continue at the Kilauea summit as the lava lake at Halemaʻumaʻu continues to subside. An ash plume from one of more than 50 explosive events that occurred in 1924. 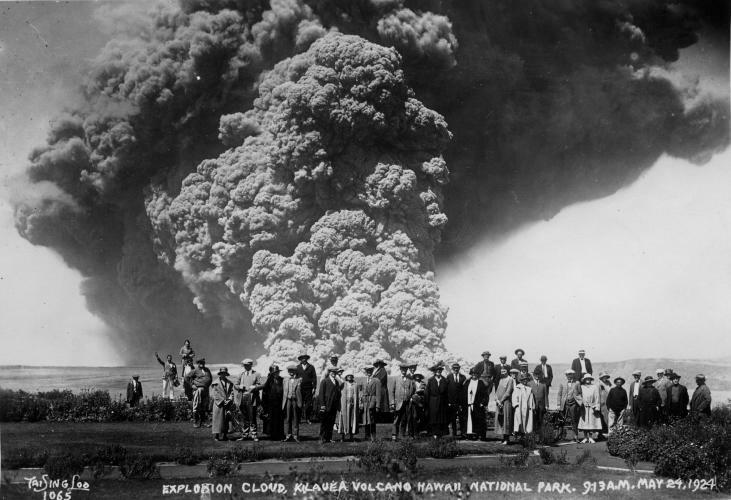 The May 1924 crater eruption included more than 50 explosive events over a two and a half week period. 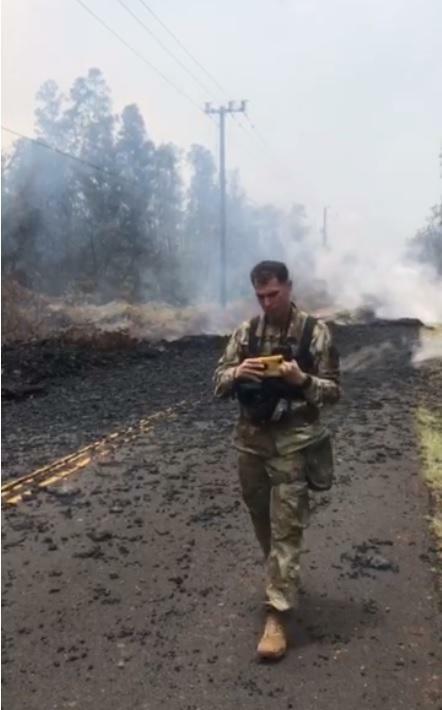 Residents prepare for ash fall in Pahala, a small town 24 miles south of the Kilauea summit. 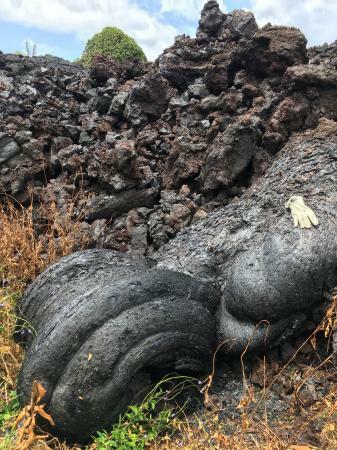 Nearly 30 miles south of the crater, 87-year-old Kuʻulei Evangelista and her family worry about the ashfall. Evangelista was picking up a protective mask at the Pahala Community Center. 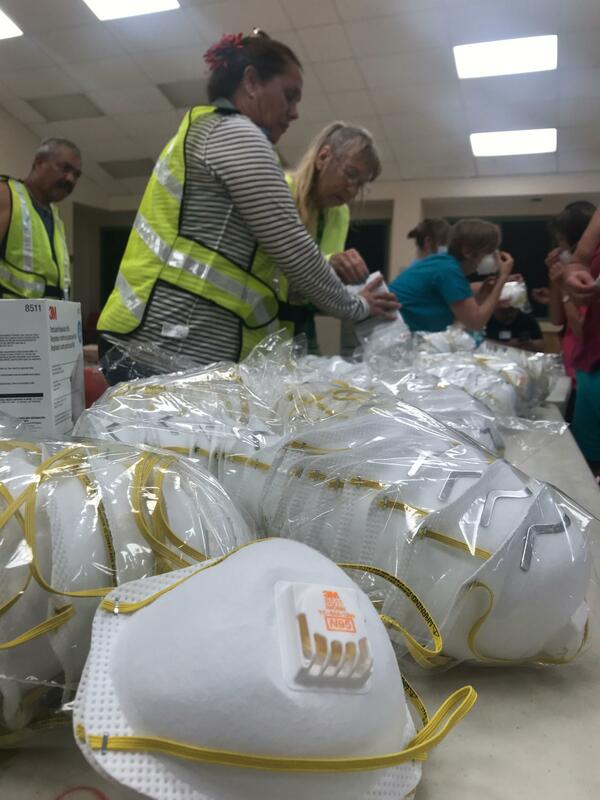 Hawai'i County volunteers offer free masks to Pahala residents. The N-95 masks help protect people from inhaling particulates and does not protect individuals from toxic gases. The County has been distributing free masks to residents at community centers from Puna to Pahala. Yesterday, the Hawaiian Volcano Observatory reported ash plumes at Halemaʻumaʻu up to 8,000 feet high. State health department officials demonstrate how to use N-95 masks at the Pahala Community Center. Pahala resident Cathy Pua walked out with ten masks. Dr. Bronstein warned these N-95 masks only protect people from inhaling ash, and do not protect against sulfur dioxide. For updated information on the County's distribution of masks to protect residents from ash, click here. 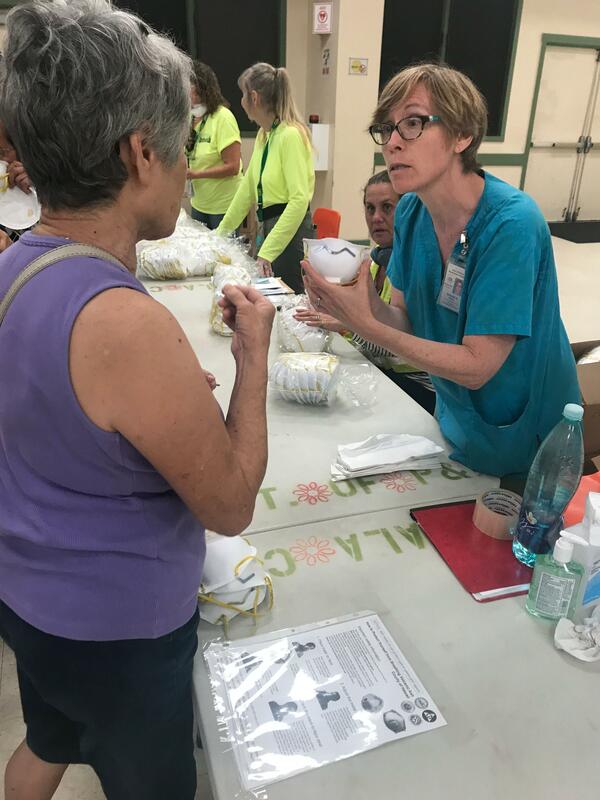 Masks are currently being distributed Monday through Friday from 3:30 to 7:30 p.m. and Saturday from 9 a.m. to 1 p.m.
Where: Ocean View Community Center, Na'alehu Community Center, Pahala Community Center, Cooper Center (Volcano Village), and Shipman Gym in Kea'au. There are 1,400 masks available at each site. Each person may receive up to three masks.